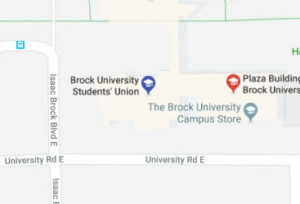 Brock Aid is a service operated by the Brock University Students’ Union which provides first aid care to events operating within the Student Union. We aim to provide this support specifically on Thursday nights and during special events held in the Student Centre. Brock Aid is always looking for energetic and dedicated students to help keep our campus safe. Becoming a First Aid Responder offers many benefits, and is a great opportunity to meet people on campus, have fun at your job and get experience all at the same time. Many of our volunteers come from diverse backgrounds in lifeguarding, fire fighting, first aid trainers, and more! Volunteering with Brock Aid is an excellent experience for anyone interested in a career in medicine or a medical related field. All volunteers are trained in Standard First Aid and CPR ‘C’ or higher. If you are interested in applying for the First Aid team, all you have to do is fill this application, and hand it in at the BUSU office.